For as long as I can remember, Pillsbury has been a part of our holiday traditions. Whether it's making pigs in a blanket for Thanksgiving or cooking up a plate of cinnamon rolls, we always have some Pillsbury item or another on our table. 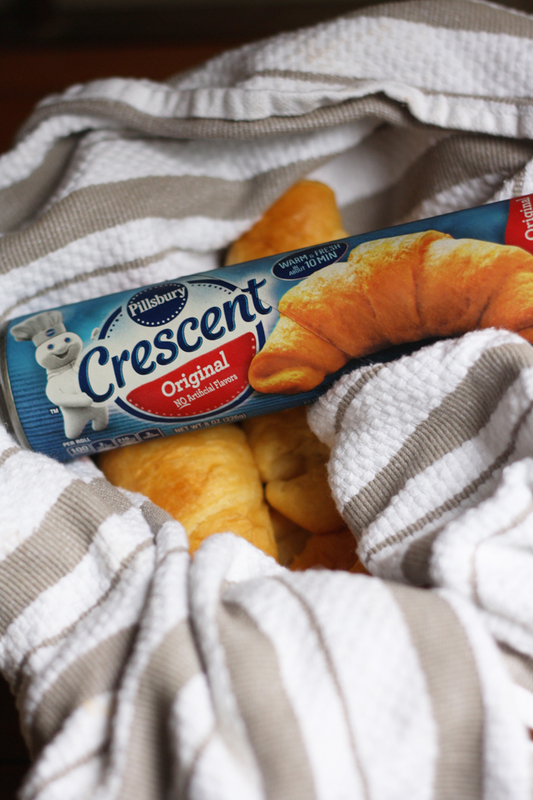 Let's face it: Pillsbury makes baking easy and delicious. What's not to love about that? 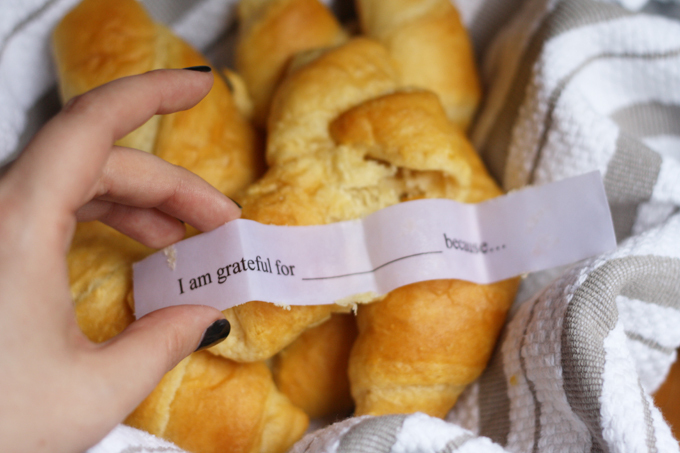 This year, I'll be adding these conversation croissants to our Thanksgiving feast. 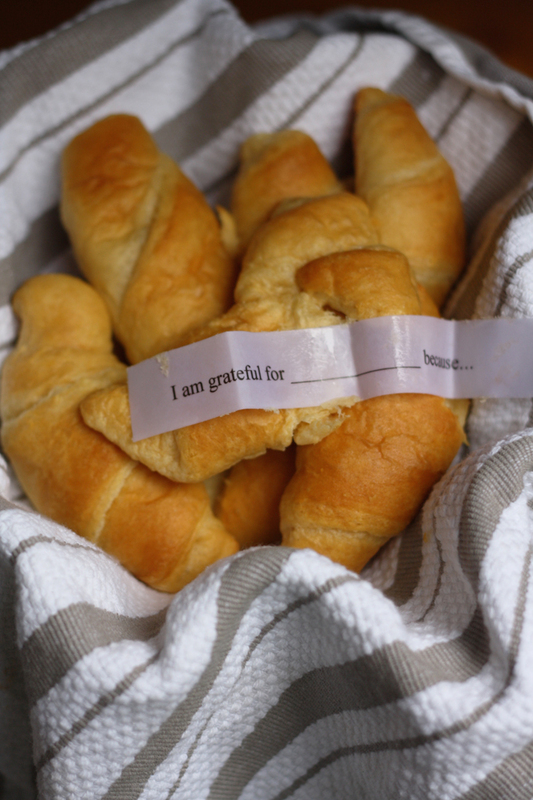 Made simply using a tube of original crescents, your family and friends will love opening their roll to a little surprise: a question to encourage conversation. You'll never believe how easy this is, and the kids can help you put everything together. They'll love working through each step with you, and it's something you can totally trust them to do. Gather your supplies for Thanksgiving this year from Publix. Not only does Publix make shopping an enjoyable experience, but they have everything you need for your Thanksgiving meal. 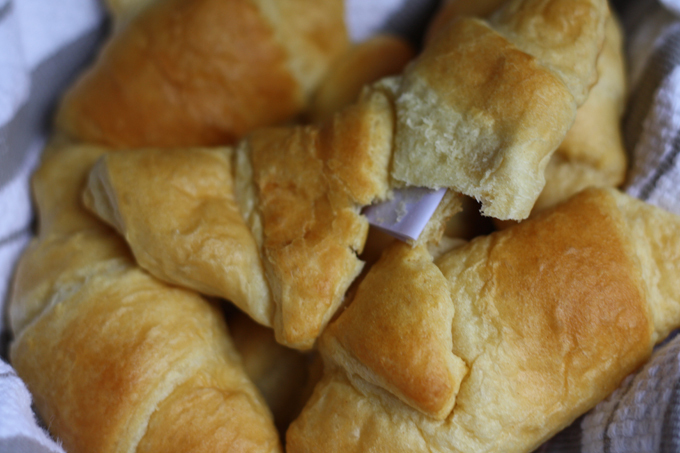 Including some amazing coupons (like $1 off of Pillsbury products - perfect for this recipe!). Begin by typing up a series of conversational questions. If you're preparing a basket of these for Thanksgiving, try asking people questions about being thankful, family, friendships, etc. Print your questions and cut them into 1 inch slips of paper. Fold them in half twice, and roll them up into each crescent, making sure to tuck the smallest end of the triangle under. Bake them following package directions. Then serve them at dinner. 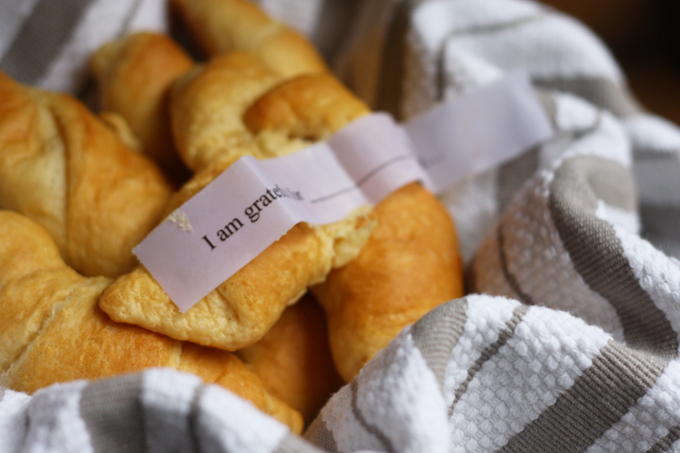 Be sure to warn your guests that there's paper in each croissant! Have each guest go around the table and answer their question for the group. Try to include some light-hearted questions along with the deeper ones. Mostly, encourage people to reflect and talk to each other. Don't forget to start planning your feast early (using your Publix coupons! ), and add these to your menu!